A reintroduction of a design originally debuted 1960. 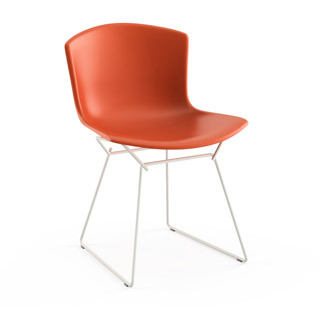 The Bertoia Molded Shell Side Chair has a softer and an even more flexible seat. Rendering a more opaque and silky finish, the side chair is 100% glass reinforced nylon. Along with its a wire-form, the side chair has a touch of color and natural flex to it as well. 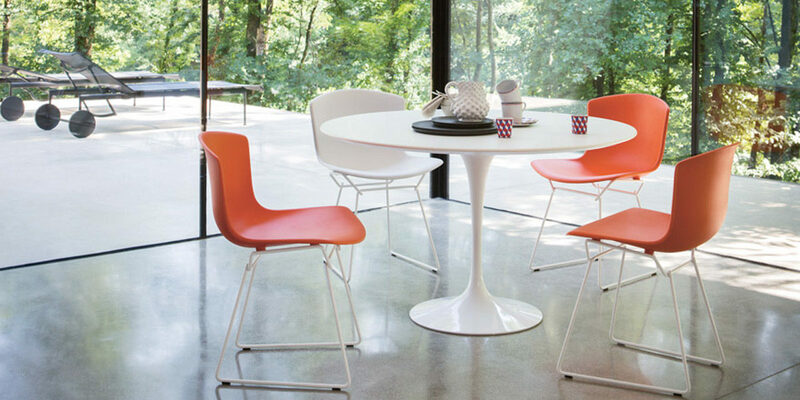 A reinvigorated classic, the Bertoia Molded Shell Side Chair is certainly ready to add colorful accents to any room. 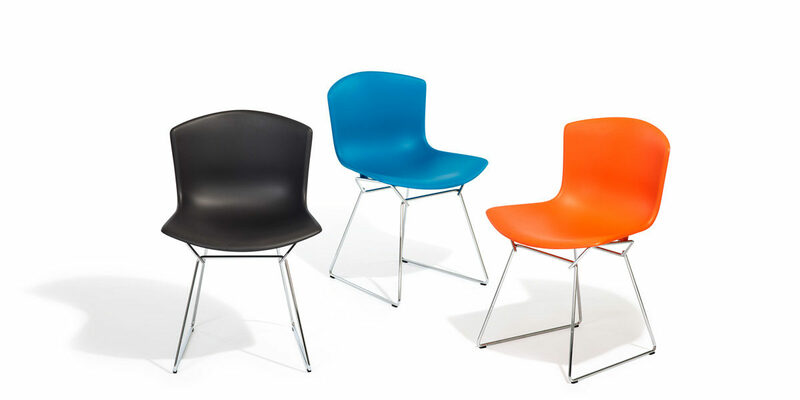 The Molded Shell Side Chair also offers a classic design along with a playful tone. Mix and match the chairs or keep a singular color palette.